With graduation fast approaching, we’re taking the month of April to honor our M&T Class of 2015 with a few Senior Spotlights. This installment comes to us from Xiaolei Cong about his experiences with the people of Penn and M&T. It’s crazy to think that in about a month’s time, I’ll no longer be a Penn student, but rather a Penn alumnus. It seems like just last month I attended M&T Day with my father and grandfather, being in awe of how mature and successful all the graduating seniors who talked to me seemed, telling me about their internship experiences at prestigious companies like Microsoft, McKinsey, and Goldman Sachs, or their own entrepreneurial and research projects on campus. Beyond just their accomplishments, what struck me the most was how their faces lit up when they shared with me how close they’d become with people in M&T from going through the college journey together. As cliché as this may sound, what I’ll miss most about Penn is its people. Thinking back on my Penn experience, I’ve realized many of my favorite memories were shared with fellow M&Ts. One of the experiences was representing Wharton this year at an international business case competition in Belgrade, Serbia. Me and two of my best friends from M&T were picked to be on the Wharton team at the competition, and for a week, we met sharp-minded business students from around the world, explored the historical city of Belgrade, and spent over 40 hours solving real-world business cases. Another experience that defined my Penn experience was attending the Wharton International Program to Morocco and Portugal my sophomore year. As a social impact focused trip, a group of 20 Wharton students (3 of which being M&Ts) toured several cities in Morocco and Portugal and met with business executives at leading corporations in those countries to discuss corporate social responsibility initiatives. Aside from the business visits, we also spent plenty of time going on cultural excursions, during which all of the participants got to know one another very well and became very good friends. Besides these defining moments, I’ll forever cherish the smaller “college” moments spent with M&Ts that made me feel like I had a tight-knit family at Penn – whether it be spending an entire Sunday studying in Van Pelt for an upcoming mathematical proof exam, or chowing down on an assortment of dumplings in Chinatown with Dim Sum Crew, or singing at the top of our lungs at a karaoke bar with my M&T lineage. As time goes on, my memories of all the lectures I’ve attended and exams I’ve taken will most likely fade, but my memory of all of the experiences I was fortunate enough to have at Penn will be with me forever. In my M&T admissions essay, I wrote about a defined career path I saw myself taking and why the M&T Program serves as the best educational program for me in order to accomplish all of my goals. As a college senior, I must admit that I feel more uncertain than ever about exactly what I should be doing in life. However, that uncertainty doesn’t cause much fear or anxiety, but rather creates excitement. The uncertainty comes not from a sense of feeling lost, but rather from being slightly overwhelmed at envisioning all the things I could be doing and seeing all the doors that my M&T education has opened. For me, the M&T Program has given me the excitement and curiosity to continue exploring all the options that lie ahead of me, but also the peace of mind in knowing that when I find that one door which is meant for me, I can walk through it with full confidence. As I leave Penn and journey through the “real world” trying to find that door, I am comforted to know that in the near or far future, I’ll cross paths again with the people I’ve met at Penn (and particularly in M&T), and that the relationships I’ve built during my college years will lead to many more positive memories in the years to come. Xiaolei, originally from Tomball, Texas, is a member of the M&T Class of 2015. He studies Systems Science Engineering within Penn Engineering and Finance and Strategic Management in the Wharton School. 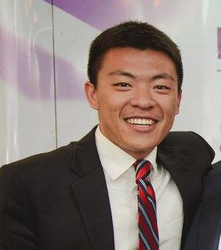 After graduation Xiaolei will join Evercore Partners in New York as an M&A Investment Banking Analyst.